Place a Ban on Facebook? Should a ban be placed upon Facebook? Facebook is a helpful social media tool when it is used as it was originally intended. Facebook is a weapon when used destructively. But is this a reason to ban Facebook? 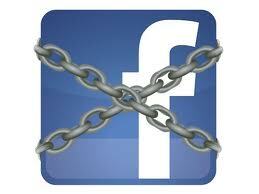 Or should Facebook require background checks on all it members, past and future? Recently, I have been quite ill. My wife posted requests for friends to pray for me. I have appreciated that many friends have responded positively to pray for me. Since we believe in prayer, this is one example of a positive use of Facebook. I could list others, but I want to save that for another post. All positive examples share the same characteristics: they harm no one and invite caring community. I have been surrounded by a believing community to hold my needs up before our mutual Father. Whether one believes in prayer or not, he can see the value of such a rallying point for those who do. One the other side–Facebook as weapon. I have read the articles and heard the TV news stories of those who have been libeled and bullied through negative community using social media. Various evil people have used their words and photos to inflict damage by impugning the character ,or behavior, or looks, or whatever of others. These are examples of the negative use of Facebook. Two examples of the use of Facebook. One positive, one negative. Yet Facebook is the vehicle for BOTH. Just as in the hand of one man a screwdriver tightens screws, so in the hand of another the same screwdriver could maim or kill. Good leaders know that to deal with any problem–Go to the ROOT of the problem, not the FRUIT of the problem. So, to your mind, what’s the root problem? Facebook? Screwdrivers? Guns? or People? Like all human culture, Facebook is a vehicle for sin as well as blessing.